We’re stoked to tell you about a couple of events next week! On Monday(4/27), 8PM-MIDNIGHT! 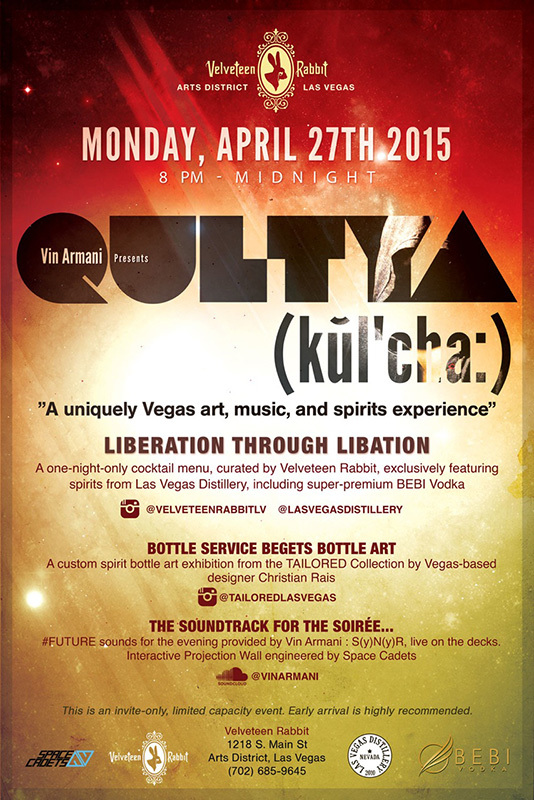 we have CULTYA, showcasing BEBI vodka and LV Distillery spirits. We’re making four delicious ($5!) cocktails for the limited menu that evening. Drink all cocktails and get a free tasting board of BEBI vodka! Music by DJ Vin Armani. Bottle art exhibit by local artist Christian Rais. Interactive Projection Wall by our talented friends, Space Cadets AV! THENNNNN We have our TWO YEAR ANNIVERSARY PARTY on Thursday! (4/30). 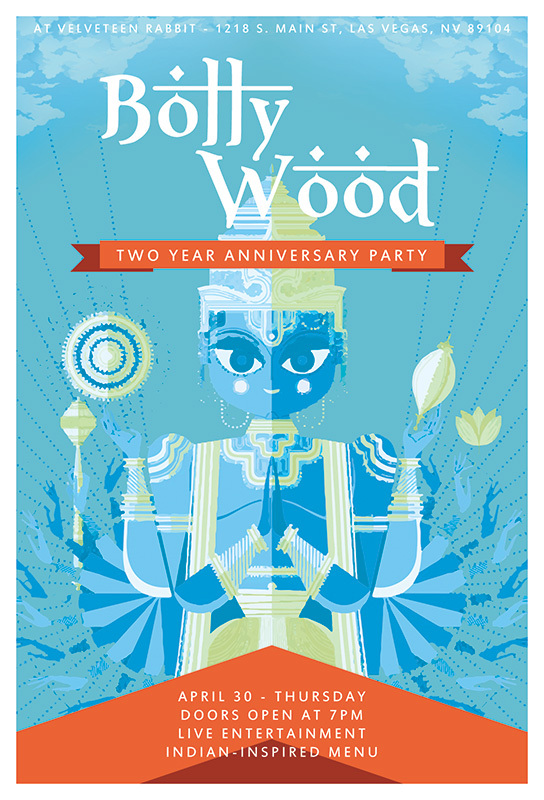 We’re going all out for our Bollywood-themed party! 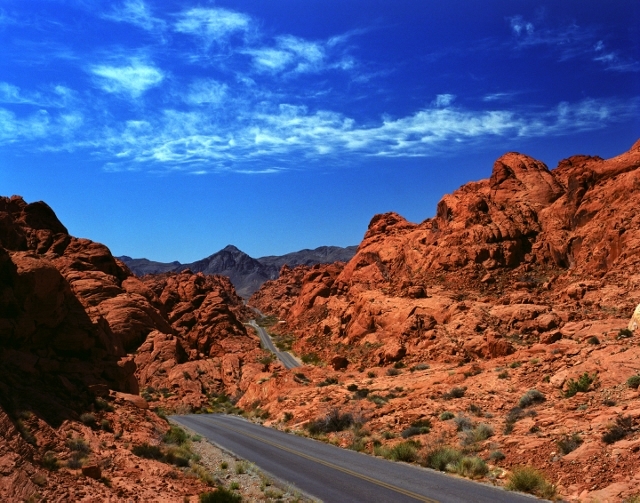 Indian attire encouraged, but not required. Sip from the chalices of the maharaja! We have a henna artist from 9pm-11pm, entertainment at 10pm, and other glorious surprises. Event sponsored by Remy V, Wirtz, and Joseph James! See you there! You won’t want to miss it.